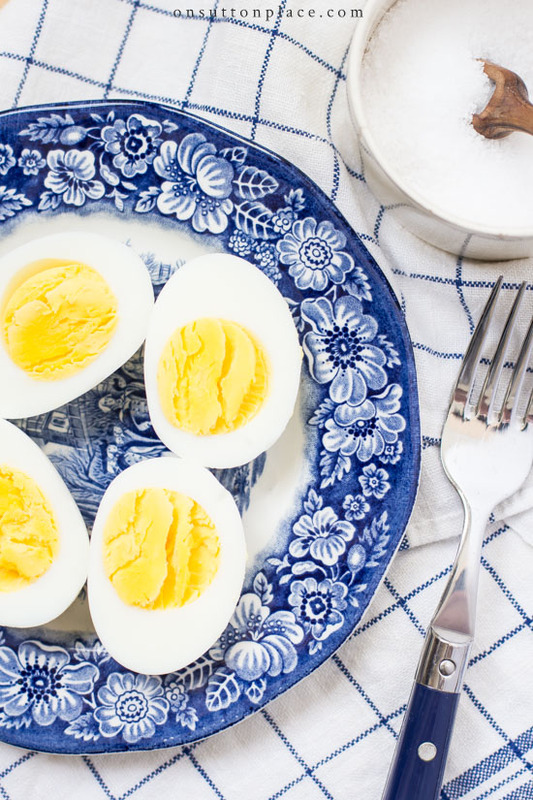 How to hard boil eggs so they peel perfectly every time! 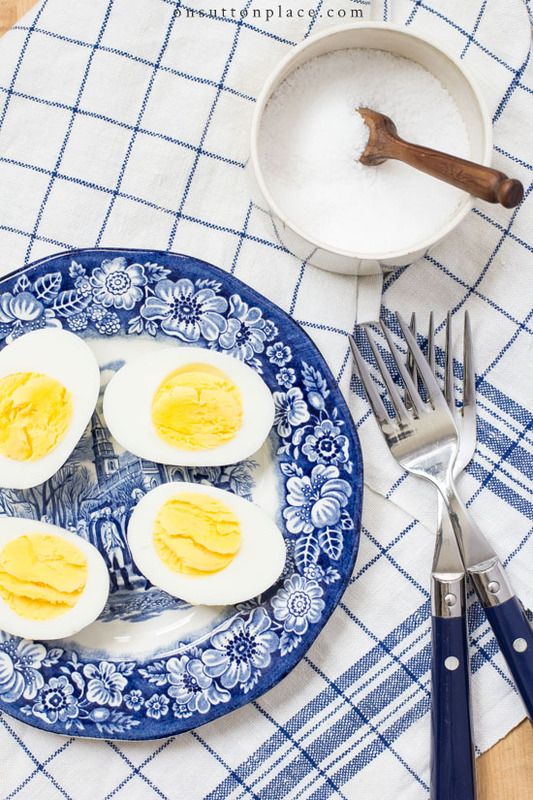 Learn how to boil eggs the easy way with these step by step directions. 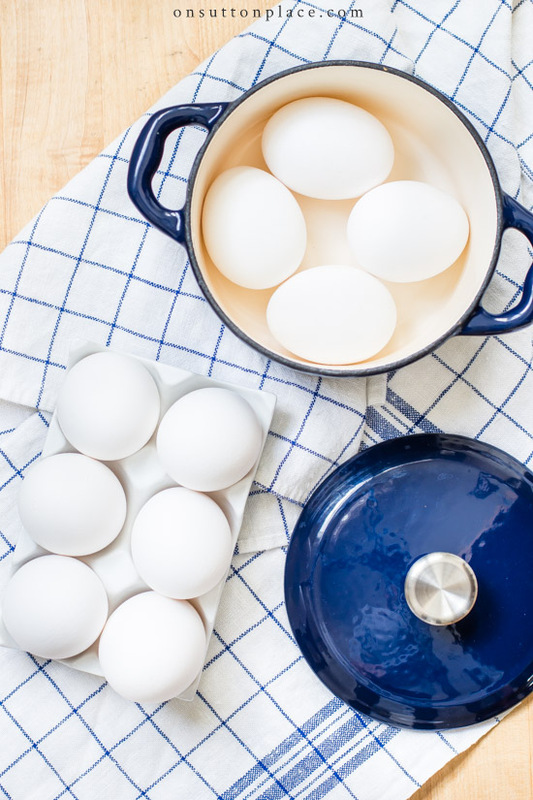 How to Boil Eggs…the easy way! Have you ever boiled a pan of eggs and had a terrible time peeling them? There you are, getting ready to make that batch of deviled eggs, only to have most of your egg come off with the shell. It’s one of the most frustrating things ever! The method I’m sharing today gives step-by-step directions and will take the mystery out of how to hard boil eggs. I don’t remember when I started using this method or where I found the directions. Like most of you, I’ve boiled eggs for many years. When my daughter was young, she loved tuna fish sandwiches. Since it was one thing I knew she would always eat, I made it fairly often. I always put hard boiled eggs in it, so I was boiling eggs quite a bit. When my son was in high school, he used to eat just the egg whites of 2 or 3 boiled eggs for part of his breakfast. I felt like I was boiling eggs all the time, so I had plenty of opportunities to fine-tune my procedure! Gently lay your eggs in a sauce pan that has a lid. Try to fill the pan with enough eggs so there is minimal movement while boiling. Put the lid on and heat on high. Watch closely and when it comes to a boil, reduce heat to low/medium and crack the lid. Boil for exactly 10 minutes. The water should be boiling constantly but not hard enough to overflow. Remove from heat and empty as much boiling water as you can into your sink. Set the pot down and stream very cold water so the pan overflows. Let the water stream for about a minute. Turn the water off. Immediately add ice cubes to the pan of cold water and eggs. Use as many ice cubes as you can fit. Gently push each egg into the bottom of the pan to crack the shell. This will let a little water in and aids the peeling process. Let sit for another minute. FOR FARM FRESH EGGS: LET SIT FOR 10 MINUTES. Start removing the eggs one at a time and peel them immediately. THIS IS VERY IMPORTANT. DO NOT WAIT TO PEEL YOUR EGGS! Eggs can be stored in an air-tight container in refrigerator for 3 - 5 days. Follow the method above exactly until you get to step #13. For farm fresh eggs, let them sit in the ice water for ten minutes instead of just one minute. This should do the trick and make the boiled eggs easy to peel. Just under the shell of the egg is a thin, milky membrane. After the boiled egg is cracked, and as you are beginning to tear away the shell, find this membrane and pull it off with the shell. The shell sticks to the membrane like glue, but if you grab the membrane, they both come off together with ease. I realize that most of you reading this don’t need a tutorial on how to boil eggs. I wanted to share it because you may learn something that you didn’t know. Plus, there’s a whole generation of would-be cooks out there who don’t know anything about boiled eggs and might find it useful. My two kids would be part of that generation! Now it’s here for them if they ever need it. Sounds pretty close to how I used to boil my eggs and it is a good method. I thought you might want to try the method I use now. In this method, only the first step is time sensitive. I bring the eggs to a full boil for one minute. Turn the heat off, cover the pan and let it sit for at least 15 minutes. If it sits a little longer it won’t hurt them but must be at least 15 minutes. Then I pretty much follow the same directions you listed except that, when I peel my eggs, I place one egg at a time in a mason jar with about 2 tbsp water and shake with the lid on until the egg very quickly cracks all over. The shell slides right off. The mason jar method works with eggs that have been stored in the refrigerator and also with very fresh, very cold eggs. Never hurts to have more than one trick in your repertoire! I love all of the blue and white you use in your home! So pretty. Thank you so much for the mason jar trick! Looking forward to giving this a try! Thank you. Is you contact information correct? I tried emailing you a private message and it would not recognize addressee. Hi Ann! Thanks for the secret to boiling perfect hard boiled eggs! I’ve been cooking for 30 years and mostly my eggs would come out right but then there would be times it was hit or miss. I had everything right that you do except I never put a lid on them and I left them to cool down a little after running cold water on them for about a minute. Now I know what I was doing wrong so thank you for that! You CAN teach an old dog new tricks, haha! Yes, you’re right, this needed to be posted because there’s a whole new generation of kids that need this information. Thank you for the post, it’s much appreciated! Have a good day! 😊. 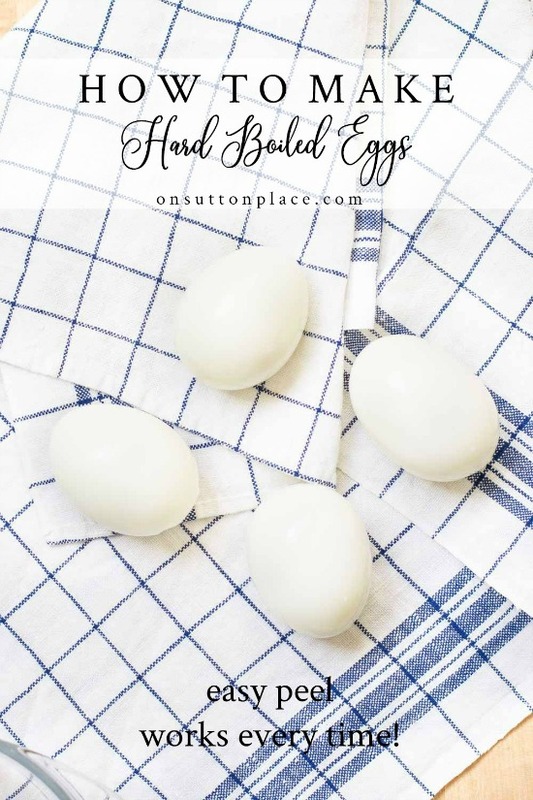 I appreciate you taking the time to write and post about how to hard boil eggs! I am 50 “something” and feel like I really didn’t know how to boil eggs properly until about 10 years ago. When I was a newlywed (35 years ago), my groom came home from school to find me asleep on the couch and eggs on the ceiling!!! Over the past year, I have been diligently recording all my recipes to be published only by me for my twins, who recently turned 18. 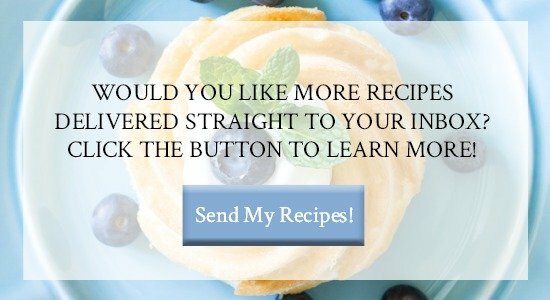 I’m not sure how much longer they will be at home, but I do know that I want to send them out with love and their favorite food recipes, whether they can cook or not! I’m also including important things like “how to knead bread” and “how to soak beans & sprouts”. How to boil eggs will also be included! BTW, I enjoy seeing your food displayed on the beautiful Liberty Blue dishes! Ann, you always have such great tips! When you first posted this, I made some hard boiled eggs and followed your instructions! They were great and turned out so well! I have shared this tip with many of our friends. Thanks, Ann, for always making our life a little easier! We appreciate you so much, HAPPY VALENTINE’S DAY! THANK YOU SO MUCH! I have always had difficulty getting the shell off eggs and even bought an egg cooker that was a waste of money!! I am going to try out your method and shout for joy if I can make it happen! It is refreshing to get hints and tips for making my life easier so don’t think us Grandmas don’t appreciate your efforts! Happy Valentine’s Day!! Awesome! Thank you for this post! I make great eggs, but still have trouble peeling!! I will try your method! Peeling hard boiled eggs can be frustrating. Thank you for the tips and I’m going to do it this way next time I boil eggs. The bit about adding ice cubes was new to me. Hope that makes the difference. Thank you. I was anxious to try this, because yes it is so frustrating when the shell won’t come off, but I live in California and we can’t just run water for a minute. We live in a drought and have to be very conscious of our water use. I have found fresh eggs are hard to peel but if I wait a few days after buying, no problem. For years I haven’t been able to make deviled eggs because I could never seem to boil an egg without half the egg coming off with the shell. I have tried pricking the shell with a pin before boiling, adding baking soda to the water, and following some well known cooks who say to bring the water to a boil and immediately turn off the heat and let the eggs sit in the hot water. It wasn’t until I decided to let the eggs boil for a full 10 minutes and add ice to the cold water afterwards did I have any luck whatsoever. I will try your method for peeling, especially since I didn’t usually peel immediately after cooking. Thanks for the tips! Like this a lot! Thanks. Yes, I am one that needed help in that area, even after 50 years in the kitchen! Thanks so much for these directions. I have never added ice cubes to the boiled eggs but have always followed the first few steps. It is exasperating to have shells that won’t peel easily. I too cook a lot of eggs so this is a great step by step for me. Thanks again for the post. I am SO glad you shared this … I’m an empty nester and didn’t know this secret :) … Love your blog thanks again! I appreciate your tips and enjoy your blog very much. Thanks , Ann. I have trouble with peeling the eggs so I will try this technique. The chicken salad plate looks wonderful. Definetly will be making soo. Thanks for all your recipes and gardening tips! Anne, What a great idea! Never heard about the ice, but I can see how it would work. I’m always looking for something to mix up our summer menu. The fruit plate is a great idea for these 90° plus days! I follow your steps for boiling eggs but wait to peel the eggs when using. Curious to see if this makes a difference. Thanks Ann! 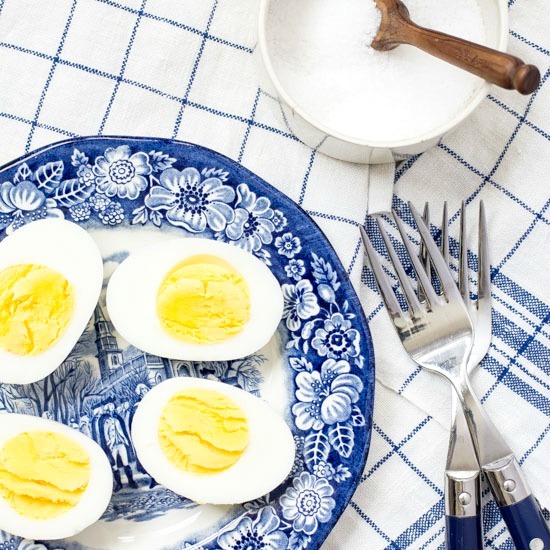 I am definitely going to try this method of making hard-boiled eggs. Been a wife for 40 years and have tried them all, and I hit or miss on occasion. I heard it has a lot to do with the age of the eggs as well, but I’m going to try your method. I have never peeled them right away, so this is different for me as well. Thank you so much for the tutorial! I’m going to go give it a try!! I think this is great information. Used your perfected egg cooking instructions when asked last minute to bring deviled eggs to a party. It was the fastest I’ve ever made them. Love this method and thanks for sharing. I tried the egg boiling technique that you have perfected. Worked like a charm. My husband and I wanted egg salad for lunch, I told him I read On Sutton Place blog about boiling eggs. He said give it a try. I followed exactly, even emptied the ice maker that was frozen up, still made ice but wouldn’t eject them. Now it works again. Easy peasy eggs. Love your blog. Yay Barbara! Oh my gosh egg salad sounds so good. I’ll be making it this week! I live at high altitude and Never have perfected a hard boiled egg. Your instructions worked perfectly and I am so grateful! ! ! Love your tips….just not sure if this would work with farm fresh eggs. I’ll have to try it sometime. Thanks! just add a bit of baking soda to the water and they peal very easily….works every time! Thank you for this tip! Do you happen to know if this works on farm fresh eggs? From what I understand they don’t peel well at all. i’m not sure about farm fresh, but it works perfectly on the eggs I buy from the store and its easy! You need to add lots of salt to water when boiling. This seems to help. Thanks so much for this. My husband and I were making deviled eggs for Christmas and, while I thought I remembered how to boil them, they came out as you described – potholes and missing pieces. Still made the deviled eggs and they were gobbled up -just blamed the dog for getting into them – ha! Thanks for this information for a not-so-young cook who can now pass down the right technique! (PS: Live in NE Ohio – definitely blessed to have a cozy home and furnace that works! Praying for all those whose home is the street – that they find shelter and warmth to get them through the next few days! I’m so glad you were warm and cozy! It’s 19 degrees right now and feels almost like a heat wave! Are you boiling store bought eggs? I ask this question because I have hens and the eggs are so fresh, they will not peel. I have read that some of the eggs we buy from stores are 45 days old when they reach the store. They peel pretty good using the ice water, but that does not make mine peel. Help please. I have even waited three weeks, but they just do not peel well. I had a comment earlier that also said that farm fresh eggs don’t peel well. One reader commented that a little baking soda added to the boiling water works well. You could try that. I don’t have access to farm fresh eggs so I buy mine in the grocery. If you try the baking soda let me know if it works and I’ll add it to my post. Thanks! Seems if I’m making tuna or egg salad, the eggs peel beautifully. If I’m making deviled eggs, not so much! Thanks for the tip. Stay warm. Bitterly cold in TN too, but no snow. This makes perfect sense. Thank you for sharing! I’ve tried many different methods and it seems I never get one that works every time. Of course it may be me deviating a bit from the exact directions or something! I’ll have to try this one! Thanks for the info…..sometimes I can peel my boiled eggs….sometimes I have no whites left when I peel the eggs…will definitely give this helpful information a try. Thanks, and stay warm. It’s cold here in Mississippi, but nothing to compare with what you have going on. You know, I’ve been boiling eggs for years and I love this post as I never really knew the right way to do it! Sometimes they would peel easy and turn out great and other times, I ended up throwing half of them away! Thanks, Ann!!! Ann a farm fresh egg never peels well, but I have never had difficulty with store bough eggs. I do similar to you, I use ice cold water. Beautiful photos :) Stay warm!